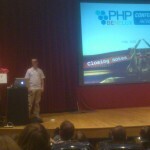 Last weekend I went to PHPBenelux with three colleagues. 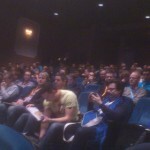 It’s a conference just outside of Antwerp of two days, Friday and Saturday. 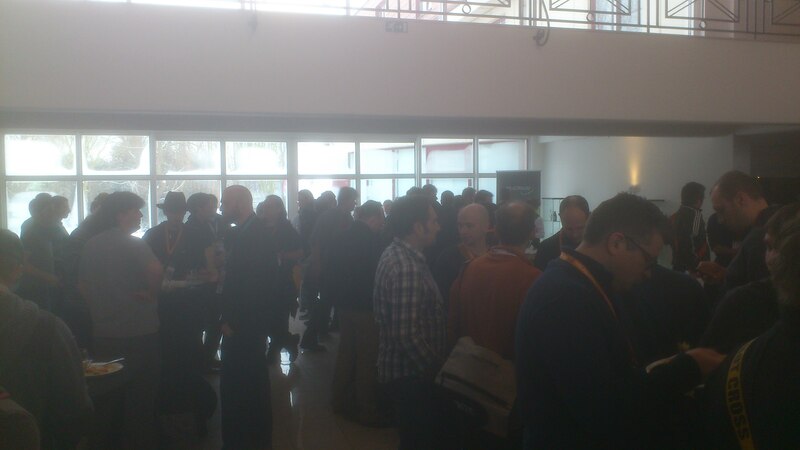 The first half of the Friday was filled with tutorials for some of the attendees, but we only visited the talks. Despite of not seeing the tutorials, I still left my house at eight in the morning. After picking up a car I drove to Delft, where I picked up my coworkers. We got the key to our apartment. Finally we drove to the conference where we arrived just in time to see the start of the keynote. 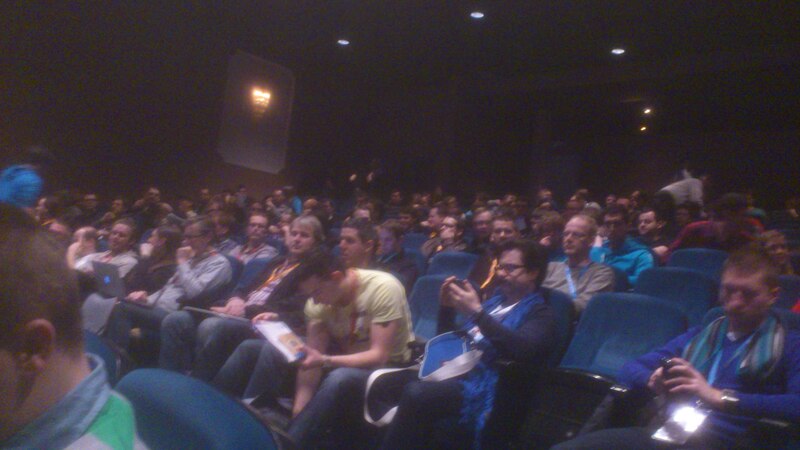 So were there cool talks at PHPBenelux? 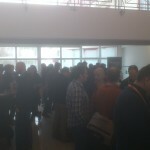 There were three tracks with lots of interesting talks but to not bore you to death I’ll write about three of them. Ben Straub from GitHub talked about… git. Especially the first half of the presentation was full of tricks and got us thinking about our current workflow. Nils Adermann talked about composer and it’s internals. A lot of pieces of the puzzle fitted into place after this. Turns out that composer is not only a useful tool, but it was also written with a vision. He has put the slides of his talk online. Finally I’d like to mark the talk of Scott Macvicar about scaling your development team. It turns out that our process for new employees is remarkably similar to that of Facebook. It also touched their release process, and some of the tools that they use internally, like Phabricator. We had a lot of fun, and got a lot of ideas that we’ll work out in time. The food was good, the atmosphere as well. 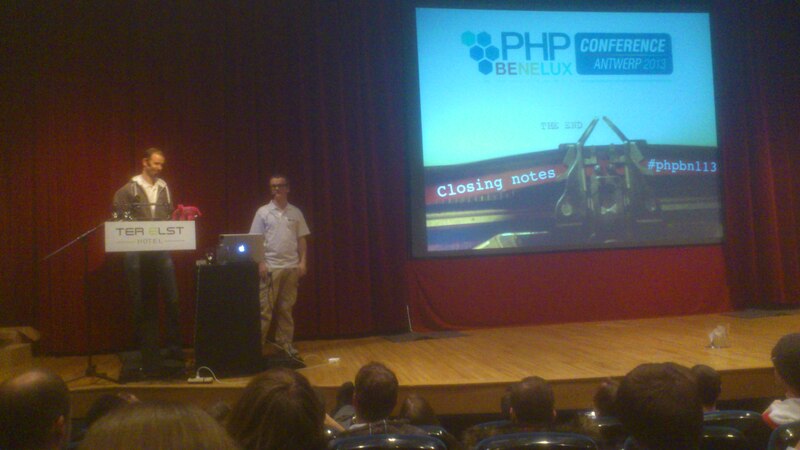 It seemed as if PHPBenelux organized itself, so that’s a big compliment towards the crew. Like a coworker suggested, it would have been nice to see a rating next to each talk. One star meaning “this is the first time I see this technology”, where three stars could mean “I’m a ninja!”. That would have made it easier to pick which talk to go to. Anyway, It’s too little to just mention three talks. There were many other talks at PHPBenelux about Usability for developers (pdf), or the talk about seven tools for your devops stack (video) also gave me some nice new ideas. All in all definitely worth the visit!